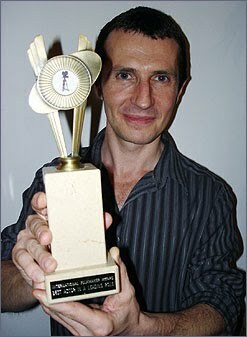 In a two part special we interview lead actor Jos Lawton, who won a Best Actor award (International Filmmaker Festival, 2009) for his role as John Miller in Ambleton Delight. In part one we focus on creating characters and using production difficulties to your advantage. As an actor, how do you go about creating a particular character? I read the script again and again - the text can give you so much information about your character. Also, I like to create a back story and some history for the character, thinking about the life they have experienced before we see them in the film. How did you go about creating the character of John Miller in the film? With Ambleton Delight, I was already provided with some back story for John Miller and I just expanded on that. I also listened carefully to Dan’s direction regarding John in order to make him outwardly calmer and less demonstrative than I had originally done so in the first audition, and to focus more on his internal state. 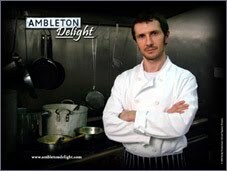 Did Ambleton Delight present any particular challenges as an actor? 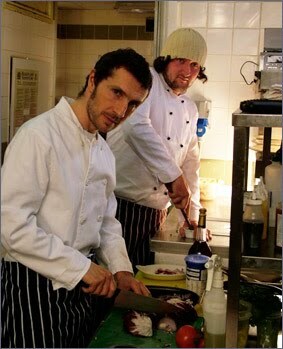 Using the ‘down-time’ in the restaurant and kitchen meant we would work from approx 10pm-6am at the weekends. I’d often find it hard to get much sleep after the first night’s filming, so by the second night it could be quite gruelling! In fact, this was in some ways a blessing for me as my character John Miller becomes more unravelled as the story develops. Michael Caine is fond of advocating the idea ‘always use the difficulty’, meaning any situation in life that's negative, there is something positive you can do with it. So having no sleep for a couple of days and being frazzled when trying to deliver my lines for take after take at 4am was actually really useful in portraying an edgy and paranoid John Miller! I don't think creating a backstory is actually all that helpful. You need to know how your character talk and walks, their emotional history, their relationships with the other characters, and what they want in that scene. Benjie: I agree...speech patterns, walk, emotional journey, relationships and what a character wants in a given scene are all important factors to a character however this is all defined by the characters back story. In exactly the same way that your own back story for you as a human being defines how you interact with others in life. Life is defined by experience because that is what life is: an experience. Once you have defined a back story and probed the characters life to answer some really difficulty questions and used those answers to make choices the rest is easy. A character doesn't arrive in a script as if they have just appeared from the womb they have come from somewhere before the story begins and quite often, continue on after the story finishes. You are certainly right about the importance of all these mannerisms and quirks but they are defined by their history rather than the other way around. One thing Jos I hope will mention is opening up to the possibility of fun. Have fun when building a character, take risks! Go wild with your imagination and suprise even yourself. A wonderful interview. Thanks for sharing Jos. I'm a big fan of all of the above...back stories, speeches, walking, talking, favourite songs etc to help create the character. But it's a personal choice for every actor. Will be watching out for the limp in that scene now.